As the most widely-used CMS in the world, WordPress powers a huge proportion of websites across the globe. If you use WordPress and need your website to be compliant with the European Union’s (EU) latest GDPR regulations, you will need to use some form of WordPress GDPR cookie plugin or an alternative commercial service. In this post, we will focus on WordPress GDPR cookie consent plugins, not commercial services that are designed to offer GDPR compliant solutions. Incidentally, it is worth noting that many such commercial services fail to work as intended unless you opt for a costly Enterprise package. Only display the cookie consent warning to visitors from the EU. We did not want to show a warning and risk annoying visitors from other areas of the world. We wanted to maintain full control over the plugin, including when or how to load resources once accepted or declined. What is GDPR and can it really work as intended? GDPR does not only concern cookies, it regulates how organizations handle data in general. A major part of this is gaining consent and making how you process data as transparent as possible. For a website or internet service to be truly GDPR compliant, a high-end developer/s, lawyer or huge changes would be required to cover all the bases. In a world where anyone with minimal technical knowledge can set up a website using ‘drag & drop’ builders and one-click tasks, it is likely that true GDPR compliance will never be truly seen or correctly enforced. We agree that visitors must have more information prior to disclosing their data, they must have control over its use, and they must have the ability to opt-out of data processing at any point in time but how website owners will make their websites GDPR compliant is a totally different question. And finally, we should not annoy visitors outside from EU and almost all of the internet users don’t have clue what is HTTP cookie. 1366×768 screen resolution with double GDPR cookie consent! 1. Create a cacheable IP to country lookup request. The code above uses the built-in Litespeed GeoIP functionality and returns different JSON data depending on the user’s country. We then needed to make this request cacheable, otherwise, the end result will be inferior performance or as we like to say, the biggest WordPress performance mistake. If the visitor is from the EU, cache the request based on the country two-letter ISO code. Note: the above code and rewrite rules only work on a Litespeed web server with caching enabled and GeoIP support but the same can be made using Apache or Nginx web servers with GeoIP module and caching mechanism just as other WordPress caching plugins works. Domain: If you run the same cookie notice on all subdomains, define the main domain starting with a dot. Performance, Analytics & Marketing: Cookie names are separated into 3 categories. Please note: only add the cookies under your domain. You cannot remove a cookie from an external domain (e.g. Facebook). However, there are methods to control this (please see the implementation section). domain: '.closte.com', //If you run the same cookie notice on all subdomains, define the main domain starting with a .
performance: , //Cookies in the performance category. analytics: ['_ga', '_gid', '_gat'], //Cookies in the analytics category. marketing:  //Cookies in the marketing category. In addition, also be aware that you may need to modify some CSS styles to ensure consistency with your website design. 3. Technical implementation of our GDPR cookie plugin. At this point, we have nearly everything set up, except the most important step. Many WordPress users think that by simply installing a WordPress GDPR cookie plugin, they automatically become compliant. This is completely incorrect! Do not load any resource (except the essential one) before the user accepts or declines to load cookies. 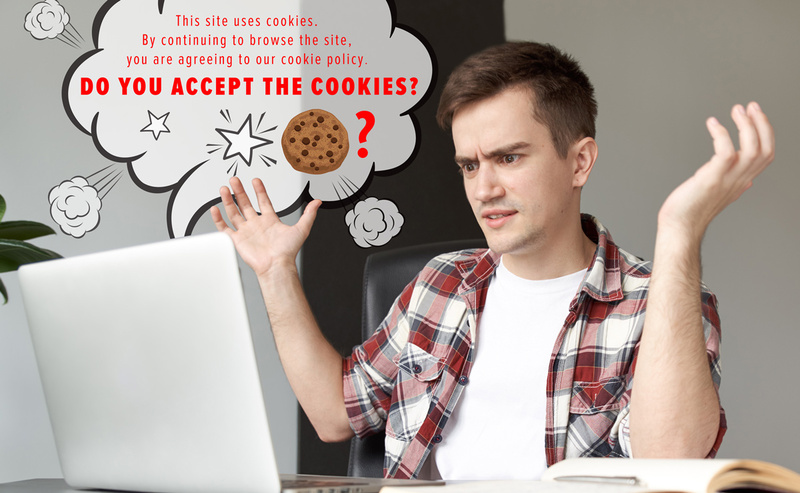 If the visitor is outside of the EU, do not display the cookie consent alert and load all resources. Once declined, either load no resources or only the categories accepted. You may have a question: But where to do this? The answer is, there where you have made a copy/paste of Google Analytics, Facebook Ads or other scripts. In our case, we utilized the Flatsome theme FOOTER SCRIPTS option. Finally, you can test the implementation using the Google Chrome Developer Tools -> Inspect and Delete Cookies with all 4 scenarios (first visit, accept all, accept only one category, decline all). In this article, we have explored just one example of how a WordPress GDPR cookie plugin can be made and it is important to consider visitors outside of the EU who may find cookie consent alerts irritating. 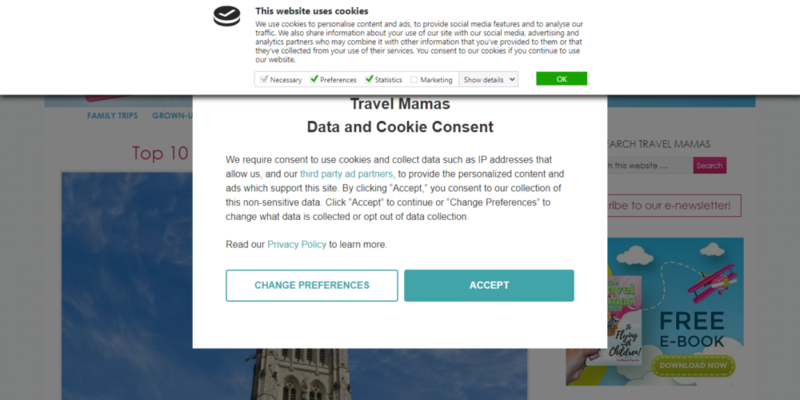 This is why in our example, we include the feature to display the cookie consent only to visitors from the EU. Keep using your current cookie plugin and annoy the world. Try to make what we made. Use a commercial service for this purpose. But take note! These services tend to cost at least $10 per month, and many do not even have the IP lookup functionality unless you buy an “Enterprise” plan. And finally, we are considering making huge modifications to our cookie consent code as well as making a generic design with one single goal: Make a GDPR consent tab in our WordPress plugin. If anyone wants to collaborate with us, especially in terms of the HTML/CSS modifications, please get in touch.